Are you new to Lexington? Have you lived here awhile but would like some friends to hang out with? Gardening, Investments, International, Golf, Quilting, Books, Light Cooking, Card Games, Bowling, Out to Lunch, Couples Dining Out, Babysitting Exchange, Children's Playgroup, Volunteer Opportunities and more! Rated number #1 featured Kentucky Realtor® on Activerain.com and Localism.com. 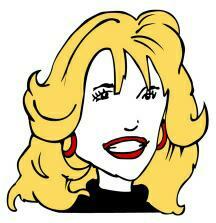 Publisher/Author for the only Central Kentucky email newsletter on local real estate listings and sold properties, Kentucky relocation, local events, homeowner information and fun! 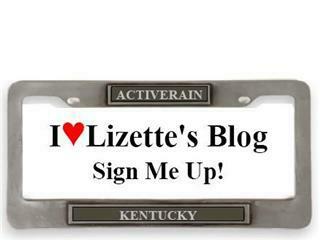 For more information on Lizette, Kentucky Horse Farms, Prudential Don Foster, Madison County, Fayette County, Richmond or Lexington, Kentucky click on Lizette.us. Kentucky is on my list of places to visit. I imagine that there is big horse country there (like we have) but even bigger? Lizette, do you run the new comber's club? If so, what a good marketing idea. Hi Sean, thanks for stopping by. No I didn't get the feeling that they wanted me to join up with the Blue and white. I don't follow the team anyway. Charles - Since Lexington is the Horse Capital of the World they pretty much live up to the name. It's a HUGE industry here. Debbie - No....I don't run the show. It's a great club for all the new people that move to town. I'm just trying to get the word out so newcomers can make some new friends. Lizette - I think it's a great idea... Please keep us posted!